Dr. Charles Chu is a highly experienced and internationally recognized researcher in chronic lymphocytic leukemia (CLL) and related lymphoid malignancies. His doctoral research in Genetics at the University of California, Berkeley concerned bacterial genes involved in DNA recombination in Eschericia coli. 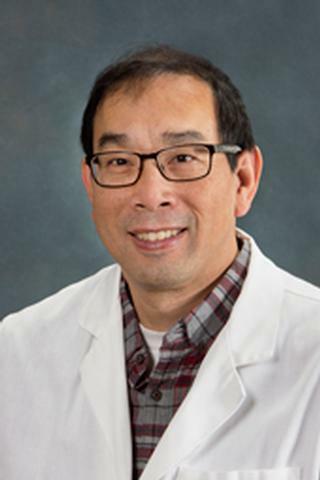 Subsequently, Dr. Chu received postdoctoral training in immunology at the National Institutes of Allergy and Infectious Disease in the laboratory of Dr. William E. Paul, where he studied immunoglobulin class switching and interleukin-four induced genes. After joining the faculty at the Feinstein Institute for Medical Research, Dr. Chu became interested in CLL. In 2016 he was appointed to the faculty of the Wilmot Cancer Institute at the University of Rochester Medical Center as a Research Associate Professor of Medicine. My laboratory research is primarily focused on chronic lymphocytic leukemia (CLL), the most common adult leukemia in the Western world, with an estimated 20,110 new cases and 4,660 deaths for the year 2017 in the United States of America alone. CLL is derived from a B lymphocyte, a cell that normally produces antibodies that fight infections in the body. Individual B cells generally do not live long and typically make up a small fraction of white blood cells. However, in CLL, a single B cell abnormally begins to grow uncontrollably, resulting in a population of identical B cells, or a clonal expansion. This CLL clone grows and expands until it eventually makes up the majority of white blood cells. Because CLL is clonal, all the leukemic cells make the same antibody molecule. Research by my lab and others have demonstrated that the characteristics of the unique antibody molecule found in individual CLL patients is key to understanding this disease. Furthermore, interfering with the signaling pathway downstream of this antibody in CLL cells leads to their elimination. While drugs that interfere with this pathway have provided some outstanding clinical responses in CLL, they have not proven to be curative. Therefore, my laboratory is undertaking further translational research into other mechanisms and cell types found in the leukemia microenvironment to aid in the treatment of CLL and other lymphoid malignancies. Baliakas P, Mattsson M, Hadzidimitriou A, Minga E, Agathangelidis A, Sutton LA, Scarfo L, Davis Z, Yan XJ, Plevova K, Sandberg Y, Vojdeman FJ, Tzenou T, Chu CC, Veronese S, Mansouri L, Smedby KE, Giudicelli V, Nguyen-Khac F, Panagiotidis P, Juliusson G, Anagnostopoulos A, Lefranc MP, Trentin L, Catherwood M, Montillo M, Niemann CU, Langerak AW, Pospisilova S, Stavroyianni N, Chiorazzi N, Oscier D, Jelinek DF, Shanafelt T, Darzentas N, Belessi C, Davi F, Ghia P, Rosenquist R, Stamatopoulos K. "No improvement in long-term survival over time for chronic lymphocytic leukemia patients in stereotyped subsets #1 and #2 treated with chemo(immuno)therapy." Haematologica.. 2018 Apr 0; 103(4):e158-e161. Epub 2017 Dec 21. Xochelli A, Baliakas P, Kavakiotis I, Agathangelidis A, Sutton LA, Minga E, Ntoufa S, Tausch E, Yan XJ, Shanafelt TD, Plevova K, Boudjogra M, Rossi D, Davis Z, Navarro A, Sandberg Y, Vojdeman FJ, Scarfò L, Stavroyianni N, Sudarikov A, Veronese S, Tzenou T, Karan Djurasevic T, Catherwood MA, Kienle D, Chatzouli M, Facco M, Bahlo J, Pott C, Pedersen LB, Mansouri L, Smedby KE, Chu CC, Giudicelli V, Lefranc MP, Panagiotidis P, Juliusson G, Anagnostopoulos A, Vlahavas I, Antic D, Trentin L, Montillo M, Niemann CU, Dohner H, Langerak AW, Pospisilova S, Hallek M, Campo E, Chiorazzi N, Maglaveras N, Oscier D, Gaidano G, Jelinek DF, Stilgenbauer S, Chouvarda I, Darzentas N, Belessi C, Davi F, Hadzidimitriou A, Rosenquist R, Ghia P, Stamatopoulos K. "Chronic Lymphocytic Leukemia with Mutated IGHV4-34 Receptors: Shared and Distinct Immunogenetic Features and Clinical Outcomes." Clinical cancer research : an official journal of the American Association for Cancer Research.. 2017 Sep 1; 23(17):5292-5301. Epub 2017 May 23.